The word ginseng is said to mean ‘the wonder of the world’, because of the healing and health-giving properties of this herb. Traditionally, it has been used by the Chinese to provide energy, prolong life and to remove mental and bodily fatigue. The prepared root is chewed by the sick to recover health, and by the healthy to increase vitality. There are four types of ginseng, each providing different kinds or degrees of energy. Ginseng is best combined with other herbs to create a healthy balance and ideally is taken following consultation with a herbalist. Experts advise that ginseng should be taken for a few weeks only and then stopped for a period. Taken for too long, ginseng can cause headaches, high blood pressure, palpitations and insomnia. Ginseng is not suitable for patients who suffer from high blood pressure, are subject to headaches, night sweats and flushing. Standardised extracts or pseudo herbalism? 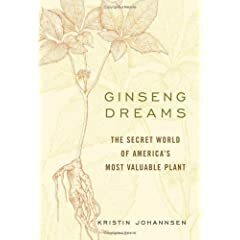 The Chinese as far back as 1750 found that ginseng was in such demand that their indigenous supply of the root was diminishing. To satisfy the consumer demand, American Ginseng was imported in large quantities. If the use of ginseng appeals to the patient, it is better to seek the advice and diagnosis of a traditional herbalist, who may offer better alternatives, more effective for the overall condition of the patient. If you have any questions regarding courses in Naturopathy and Complementary Medicine (Homoeopathy, Herbalism, Traditional Chinese Medicine), you are invited to contact the CNM Head Office, at Unit 1, Bulrushes Farm, Coombe Hill Road, East Grinstead, West Sussex, RH19 4LZ. Telephone 01342 410 505, Fax 01342 410 909, or e-mail : info@bestcare-uk.com or go to www.naturopathy-uk.com The CNM has colleges in London, Manchester, Exeter, Belfast, Dublin and Galway.